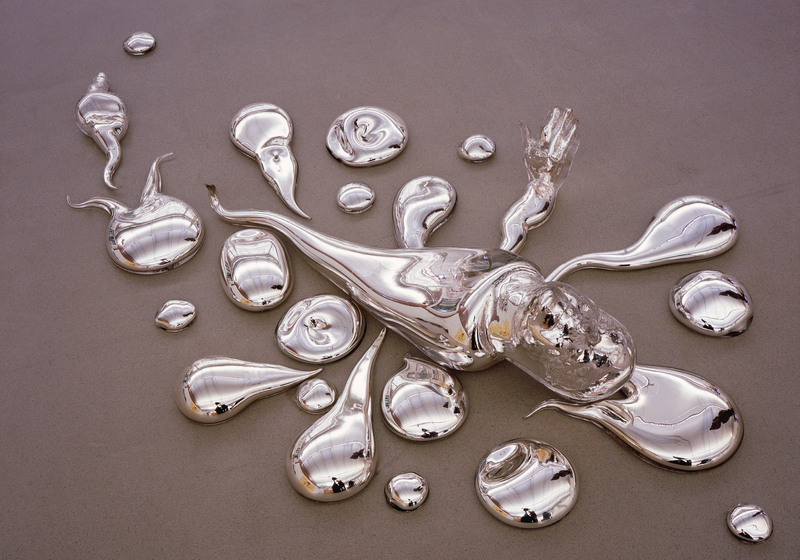 Sarah Whitfield interviews Marc Quinn about his work in connection with his 2002 Tate Liverpool exhibition. You begin the exhibition with dozens, possibly hundreds of drawings, watercolours, rough sketches, and photographs, some of which are very recent, others date back ten years or so. It’s an installation that seems to be very much about beginnings. There are drawings, frozen flowers, babies, Egyptian sculptures, family photographs, etc. I like the idea of showing how things come about, so this room is a mixture of ideas that became sculptures and ideas that never became sculptures and what's interesting to me is the mixture of the two.